Adventure, Destination Weddings and Abroad Elopements are one of the fastest growing venue location segments accounting for about 14% of all weddings by Canadians. We can see this trend first hand at Ever After Photographers. The amount of our destination weddings is steadily increasing. We love working with adventurous people who are explorers and travellers and who search for new life experiences like we do. So what is the big draw for you? 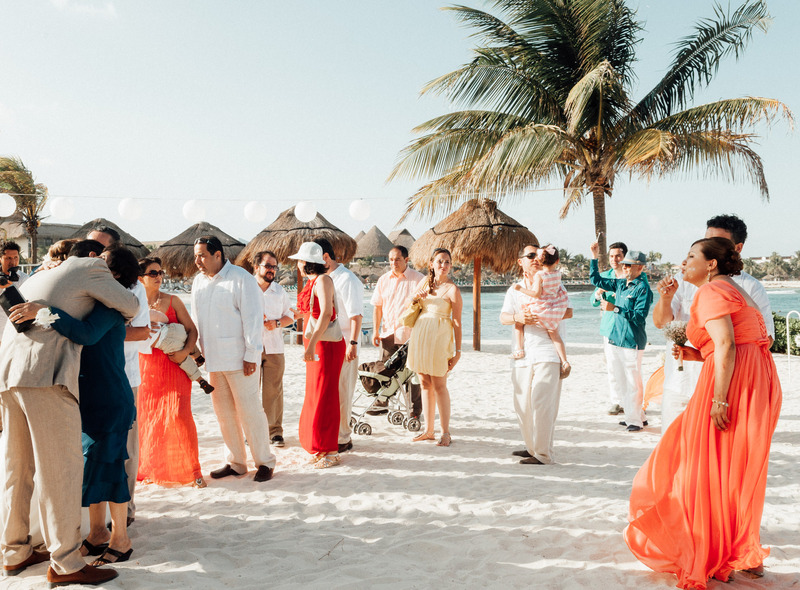 Destination weddings usually cost a similar amount or, depending on who pays for the flights and accommodations, much less than a stay at home wedding. They provide an elevated experience and a welcome getaway for you and your guests. They are great options for avid travellers, adventurous elopements or when your wedding party is small and intimate in general. 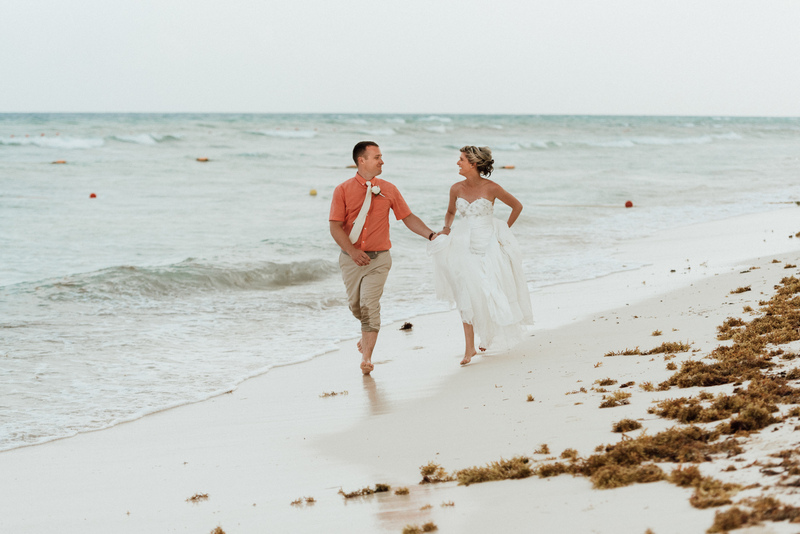 Before we comment on Destination, Adventure Weddings and Spontaneous Elopements from a Photographer’s point of view, below are a few facts about Canadian couples and their choice of destination wedding locations which you may find interesting. Popular locations for Canadians include Mexico, the Caribbean and Central America with the below countries leading the way. Mexico – May being the most popular. Dominican Republic – June being the most popular. Jamaica – June being the most popular. Aruba – September and November being the most popular months. St. Lucia – May being the most popular month. Weddings in certain parts of Europe especially romantic Italy, rustic UK and adventurous Iceland are also on the list of possible destination and elopement locations for Canadians as are weddings in Asia especially in countries such as Indonesia, Thailand, Malaysia and Vietnam. 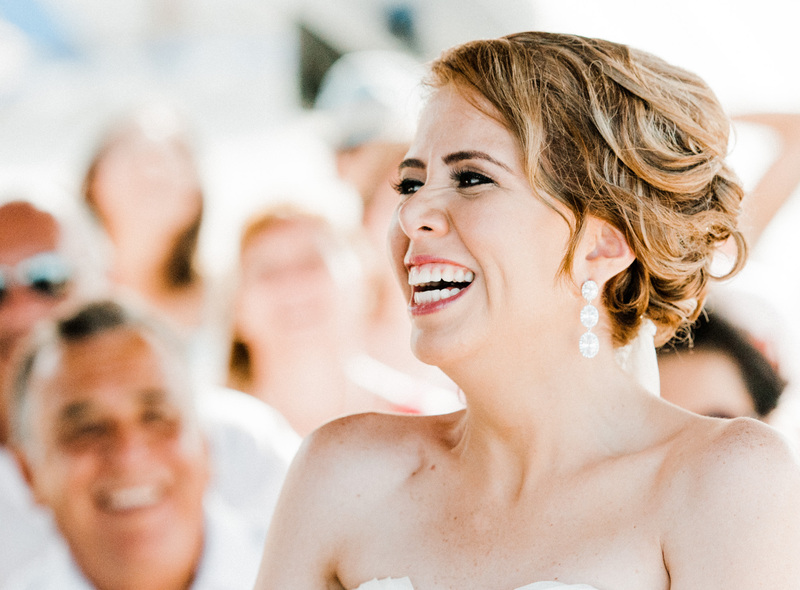 Once you decide that a destination wedding is the right option for you, you will have two options for booking a photographer to cover your big day abroad. You can book a local/ resort studio photographer or you can book a photographer in Canada to travel with you to the destination. Below we discuss some of the many pros and cons of each approach which can help you make the right decision for your needs. Nearly all resorts offering destination weddings can provide a local photography package for your big day at a starting cost of about $1,500 US. At first glance, booking a local resort photographer makes sense. A local studio knows the resort and the venue well. In addition, most of the time, you of course do not need to worry about any additional photographer travel fees when booking a local photographer at the resort which can make the overall costs of the coverage more attractive initially. However, there are a number of things to watch for when booking a local destination photographer. First, most of the initial packages quoted are in US dollars and include one photographer for only 2-3 hours of coverage only. That is enough for the ceremony and a session right after, but not enough to tell your entire wedding day story. Once you request an additional photographer, more hours of coverage and convert the US currency the cost grows considerably. Next, photographers who always shoot at the same venue tend to produce images which all look the same, choosing often the same backdrops and angles as they seem to work well. You and your wedding are unique and we think that everyone deserves images which best suite each couple, the wedding vibe and the given situation instead of duplicating past images and backdrops. When you choose a local destination photographer you rarely have the ability to get to know the photographer before your wedding day. The image gallery provided by the resort studio is usually comprised of the work from many different photographers. If you look closely you can actually see that the work is pretty inconsistent. Often a local resort studio will provide A photographer but will not know who that will be precisely at the time of your booking. Meeting the photographer for the very first time just before your ceremony and never actually seeing that photographers work is very common. Many local destination photography packages do not include any prints, albums or digital images on a USB stick. All of the above are extra. 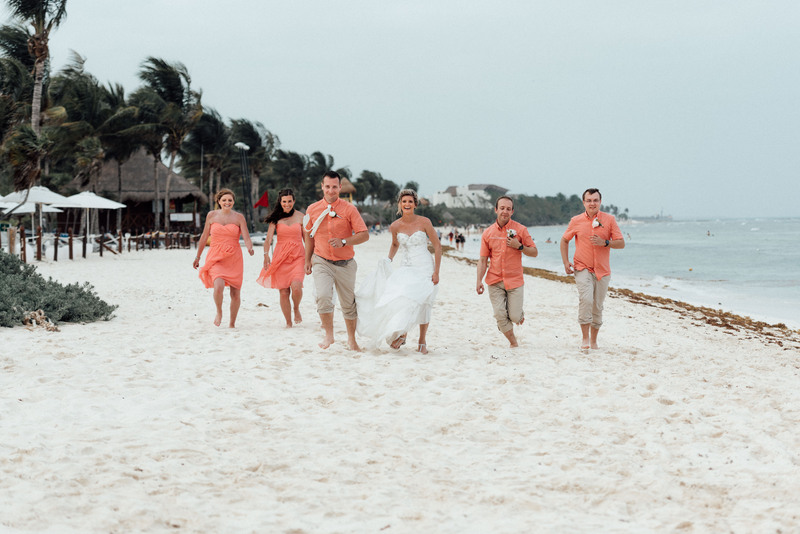 We have even heard of some resort destination photography studios which provide only ordered prints with no ability of ordering the digital images in unmarked high resolution files. Your second option is hiring a Canadian photographer who is willing to travel to the destination with you. Immediately there is of course a negative to this approach which creeps up. Additional cost. While it is true that most of the time a Canadian Photographer will be more expensive this is not always the case. Not every photographer charges the full cost of the travel associated with the destination wedding. Some photographers, including us, look at a destination wedding as an opportunity to combine work with a travel vacation. Comparing the full costs of a local photographers to a Canadian photographer is worthwhile. When using a Canadian Photographer at a destination resort consider a possible additional fee of about $500 which the resort sometimes charges if the Canadian Photographer is not staying at the all inclusive resort. The concern about the cost is really where the negatives of hiring a Canadian Photographer to shoot your destination wedding end. Below are some of the main reason to use a Canadian Photographer to photographer your Destination, Adventure wedding or abroad elopement. From the consistent image portfolio to meeting your photographers beforehand, when hiring a photographer in Canada you simply know what you are getting up front. Remember that hiring a photographer is not just about their work but about your fit with their energy and personality. It is this fit that is often visible in the images and not just the skill of the photographer. A Canadian photographer who is seeing a destination venue for the first time will be able to combine both your unique character with the venue because they know you in advance and because the venue is new to them. Of course this does not mean that the photographer should not do a site check, they should. When shooting destination weddings we always show up at least a couple of days before the wedding in order to see the venue and make sure we are fully set for the big day. We scout the location and possible places for our sessions based on our knowledge of the couple to make sure they receive the best possible images for their unique needs. A local engagement session is possible when booking a Canadian photographer. Not only does such a session allow you to get to know your photographer, but often this session is part of the wedding package and is much less expensive than booking it separately. A local engagement session with your photographer will allow you to feel very comfortable in front of their camera at your destination wedding. It’s not unusual to have some followup questions or requests post your wedding day. We know from past feedback that reaching a resort destination photographer can be sometimes difficult. Reaching a local Canadian Photographers is usually much easier and convenient. Finally, as we discussed briefly before, a Canadian Photographer who travels to a destination / adventure wedding location is not always more expensive than a local resort / destination photographer. First, a Canadian Photographer does not usually charge by every hour of coverage when on a destination wedding shoot but by the full day, since of course they are there for a longer duration already. If you are thinking about a full day of coverage, which includes getting ready, the party and everything in between, the cost given by the Canadian Photographer may be very competitive to the one quoted by the local resort studio once all the factors are considered. Finally, as previously discussed, many Canadian Photographers including us at Ever After Photographers, value travel, discovery and new experiences. Depending on the destination, often we charge only a minimal travel amount in addition to the standard package costs in order to share this unique experience with our couples. We hope that this post was a useful resource as you consider the possibility of a Destination, Adventure Wedding or Elopement for your big day. Of course as every destination wedding is unique, please reach out to us with any questions. We are always happy to help. Happy Travels!